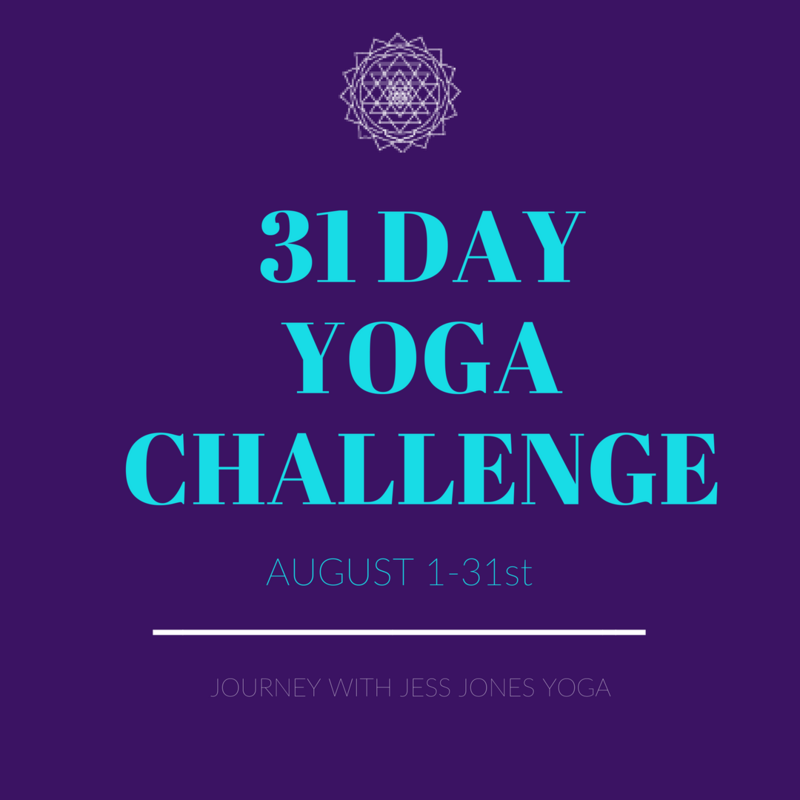 I am THRILLED to be kicking off #31daysofyoga , a challenge at the heart of Melbourne winter and the time of year I usually head back to Mysore for time with my teacher! Originally it started off as an initiative with students at Virgin Active, where I teach a few classes a week. I decided to join in with my own version of the challenge, and thought this incredible growing community might as well join us from all around the world! (watch the impromptu livestream HERE.) So far, we have an epic group of yogis getting involved! 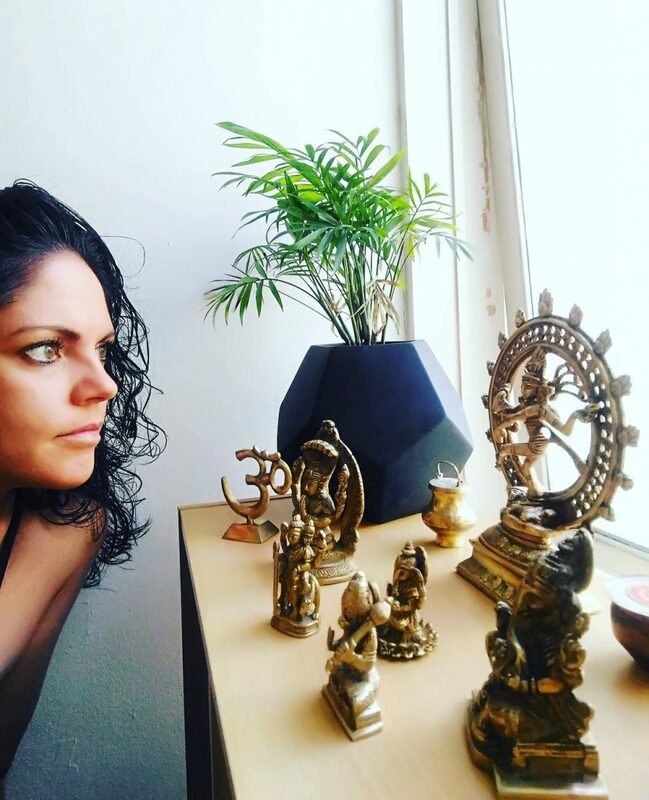 I don’t want to put any rigid rules around the challenge, the intention however, is to cultivate a consistent, daily practice, of showing up for yourself, and welcome the transformation as it unfolds. What that looks like is up to you and will be different for all of us. Typically in challenges like this, you will want to have one day off per week from asanas, or physical practice, but may still choose to practice meditation, mantra or breathing practices daily. I have attached the below calendar for you to print off and keep track of your progress and share with the community. Let’s help keep each other inspired along this journey!! ***And then, RELEASE THE OUTCOME…and any expectations! You commit to showing up for yourself every day for 31 days, non-negotiable. You have set intentions on what that may look like, and then you let go of that rigid outcome and allow it to unfold as its meant to. Meaning you may not tick every box you set out to, and you get to be content with that. Also, this idea of transformation may not look exactly like you currently intend. Give yourself time and space to notice the subtle shifts occurring; notice perhaps how your sleep improves, your breath expands, your awareness increases, or that you snap a bit less at your partner. One of my commitments to you is I’ll post a few videos HERE on the website throughout the month to help keep you going with your home practices, so make sure you’ve entered your email so I can send them straight to you. The rest will all really be going down over on the social media front so be sure to follow along for daily inspo and updates on Facebook and Instagram. 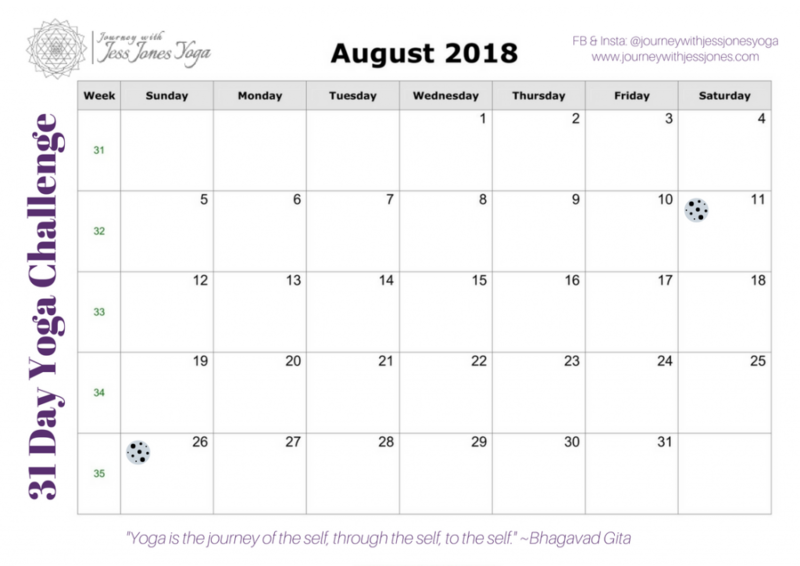 My intention over the month of August is to invite healing into my practice and welcome positive transformation however it may show up, mind, body and soul, through a consistent, devotional daily practice. *Like, Love and Share with your friends and lets all do this together!!! *Print that calendar out and get clear on your intentions! *Comment below and consistently on FB and Insta so we can help hold each other accountable! I’ll see YOU on the Mat!